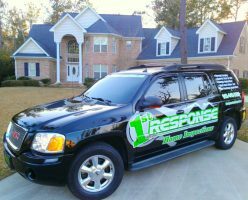 Quality Air Test | "Professionally Responding To Your Home Inspection Needs"
"Professionally Responding To Your Home Inspection Needs"
Indoor Home Air Quality: Maintaining good indoor air quality is important for your health. We all should make sure the air in the home is safe to breathe. An Indoor Air Quality Assessment can find potential hidden issues with a home, determine if the air quality of the home will jeopardize (or is jeopardizing) the health of you and your family and protect your future investment. The air in your home could be making you SICK! According to the EPA, indoor air quality poses a greater health hazard than outdoor air pollution, with pollutant levels averaging 2 to 5 times higher than outside air. And with people now spending about 90% of their time indoors, exposure to these air pollutants has never been more significant. Products and materials present in our homes constantly emit chemicals, called VOCs (Volatile Organic Compounds) into the air. The slightest elevation in humidity can cause mold to grow anywhere in the home-often in places that go undetected, like behind walls or in carpeting. Exposure to VOCs and growing mold can cause a number of health issues, from headaches to respiratory irritation to asthma exacerbation. Your health could depend on knowing exactly what’s in the air you breathe every day. 1. The EPA has reported that home air can have 100 times more chemicals inside than outside. 2. The EPA has also reported that adults and kids now spend most of their time indoors (90%). 3. The CDC has reported that 20+ million adults have asthma, and the National Asthma Survey has reported that asthma is the most prevalent chronic disease among children. These numbers continue to increase annually, suggesting that the indoor environment plays a contributing role in this trend. 4. Mold growth can be present within the home and be hidden behind walls or underneath carpeting or flooring. 5. The use of Formaldehyde is prevalent in certain building materials and the concentration of this known cancer-causing agent can be many times the safe level. We have chosen to offer my customers Home Air CheckTM Professional, a state-of-the-art test that allows me to observe the chemicals in the air that could potentially make you and your family sick, and provide you with an assessment of the home air quality. 1. The Test measures the chemicals in the air and finds hidden mold. 2. One Test covers an area of up to 2,000 sq. ft and the results are delivered in as little as 5 business days. 3. The Test reports the total amount of Volatile Organic Compounds (VOCs) found in the home and whether they are within a safe range. 4. The Test predicts the source of the VOCs through an industry-leading Contamination IndexTM and determines if they are from safe sources (e.g., gasoline, potpourri, dead animals, contaminated drywall, or other sources). 5. The Test is so sensitive it monitors for the chemicals released by actively growing mold, whether they are behind walls or underneath the carpeting or flooring. 6. Formaldehyde can be measured and reported individually for an additional charge, if there is a concern that building materials in the home might contain and release this known carcinogen. Call us today about performing an accurate Home Air Check Professional test. We can help you get a peace of mind about the air you breathe. © 2011-2014 1st Response Home Inspections, LLC .